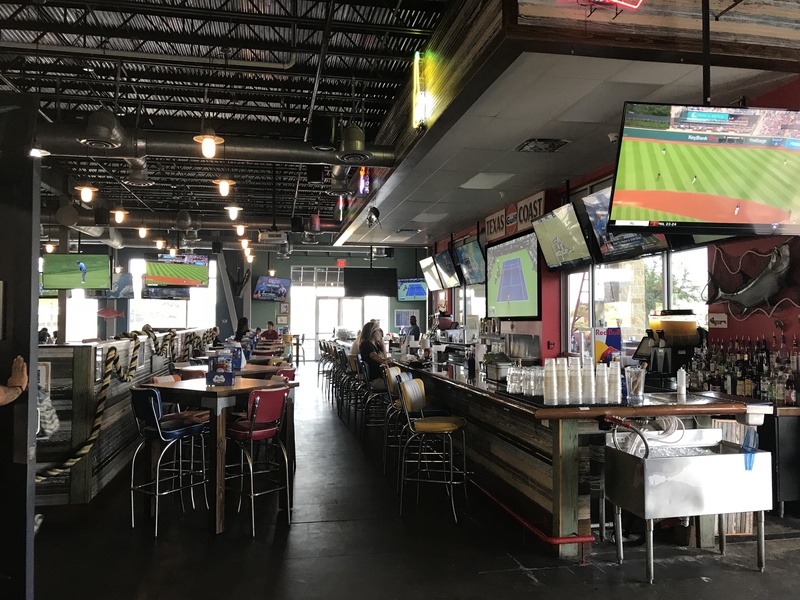 My husband and I were out one day taking care of business and we decided to grab a late lunch at Sam’s Boat Gulf Coast Kitchen & Sports Bar. 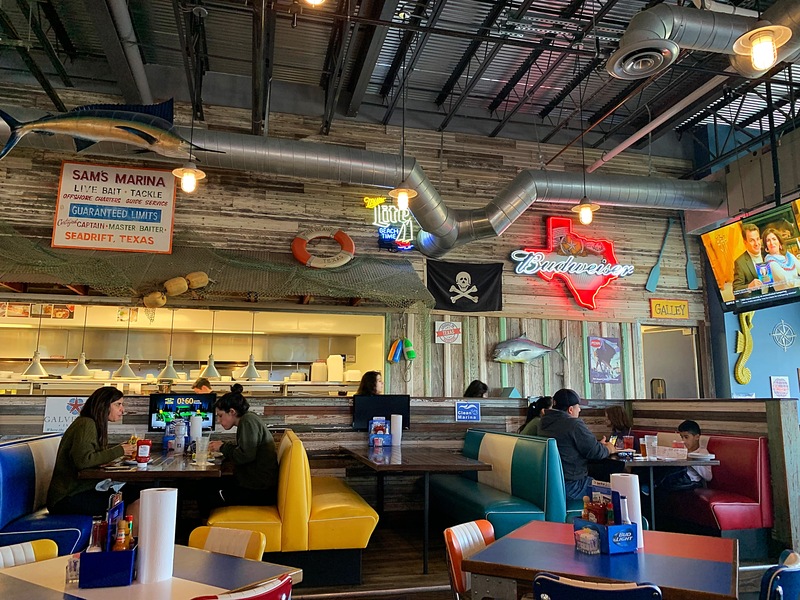 “Sam’s Boat Cypress is located on the Boardwalk in Cypress, Texas. 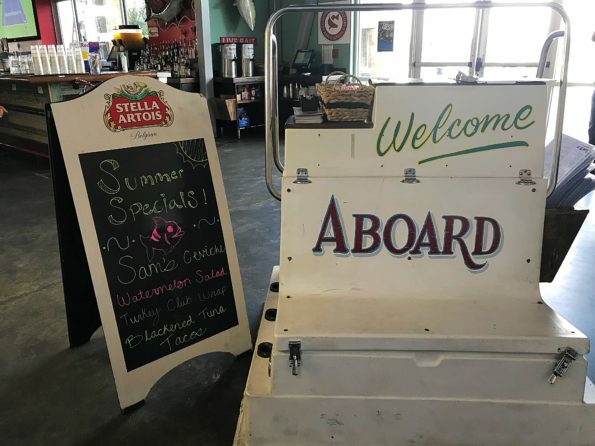 Sam’s Boat Cypress is a wide open restaurant concept with a beautiful huge Mahogany bar inside, an open kitchen and a spacious outdoor deck that overlooks Towne Lake. 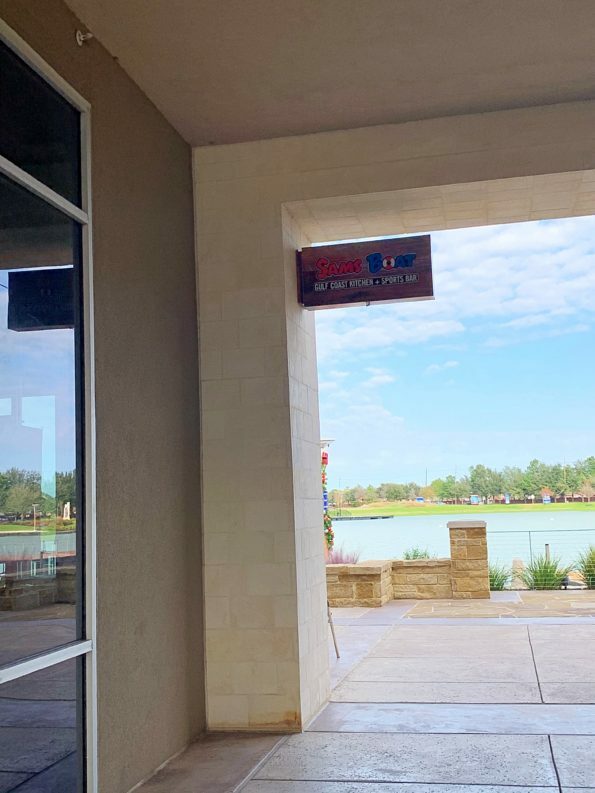 The restaurant provides a great place for meeting friends and making memories with your family. 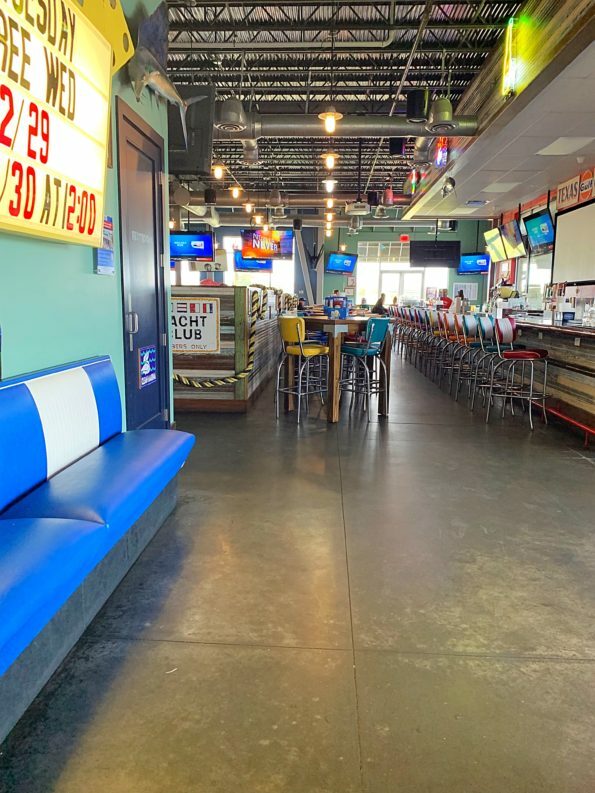 The restaurant also offers excellent sports viewing featuring over 50 televisions so that you never miss your favorite team”. Sam’s has a lovely patio facing the water, the perfect spot for outdoor dining. We decided to sit inside the day we dined. As you enter the restaurant there is a coastal vibe with a family friendly environment. The hostess greeted us and we were seated immediately. Our waitress arrived to take our drink orders. 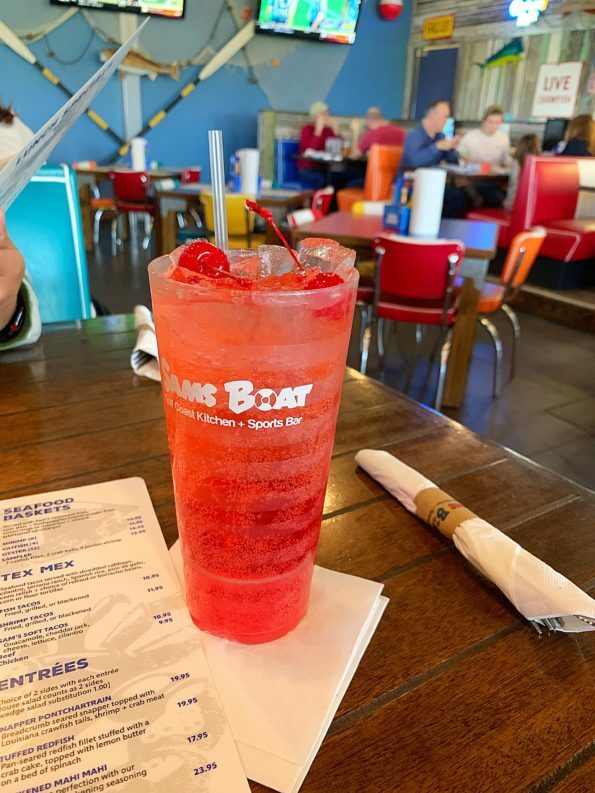 I ordered a Shirley Temple. 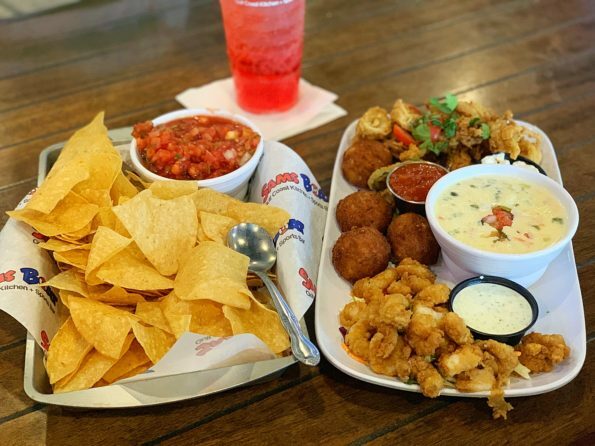 We also decided to share an appetizer, the Boat Sampler. 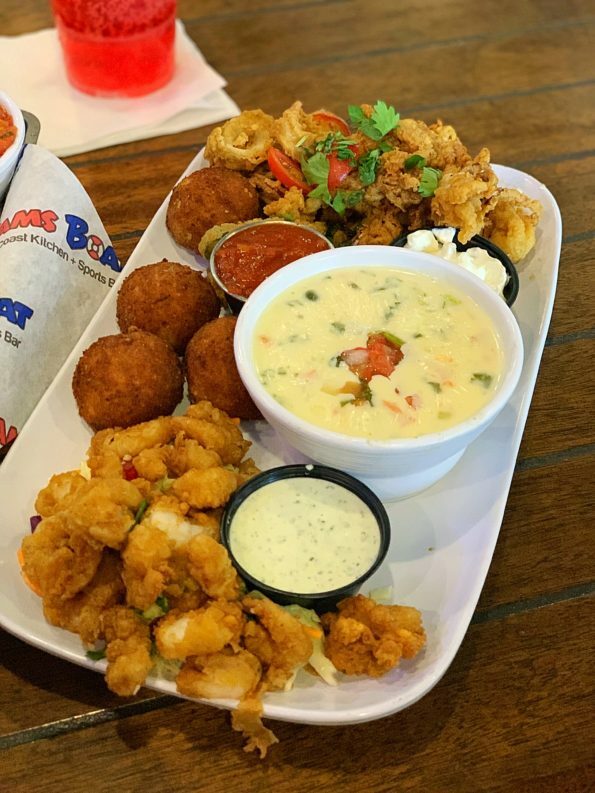 The Boat Sampler included 4 crab balls, popcorn shrimp, calamari, cup of queso with chips. The crab balls were superb. The signature crab balls are made with shrimp, crab meat, celery, green onion, bell pepper and signature herb blend. 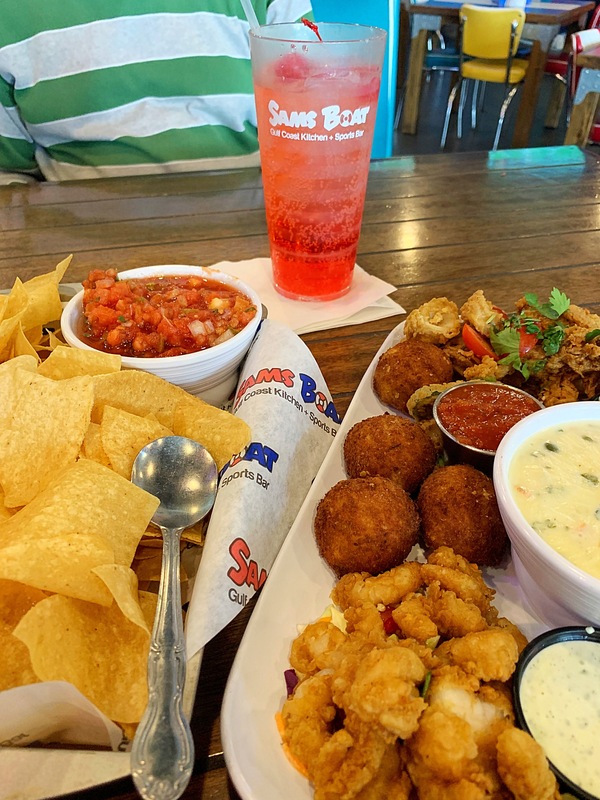 The crab balls are perfectly fried and were my favorite. The calamari was also really good. Lightly fried calamari rings, tentacles, jalapeños, tomatoes that were served with marinara and Serrano ranch. So good. Calamari can be rubbery if not prepared correctly, but not they nailed the cook on the calamari. The sampler also included popcorn shrimp which were just ok. The shrimp lacked seasoning and the batter was coming off of the shrimp. Queso and chips are always a great option. The sampler gave us a good variety to share and enjoy while we chatted. My husband and I both ordered from the lunch menu. 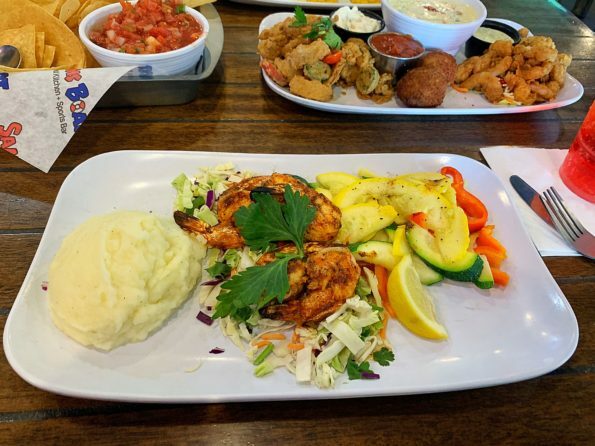 I ordered the Blackened shrimp served on shredded cabbage with mashed potatoes and seasonal veggies that included zucchini, squash and red bell peppers. A light and healthy lunch, the shrimp were perfectly seasoned and cooked. I really enjoyed this dish. 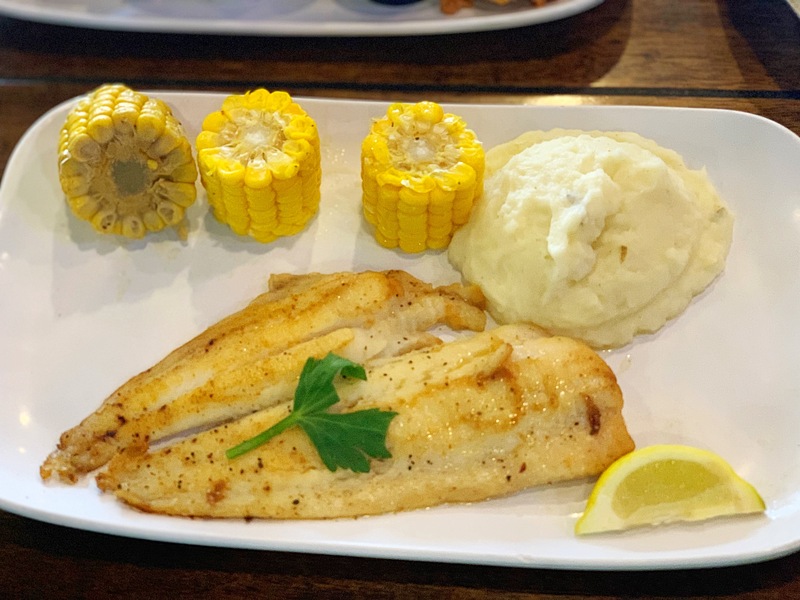 My husband went with the Grilled Fresh Flounder served with mashed potatoes and corn on the cobb. The flounder was fresh and lightly seasoned. The presentation wasn’t too great, but the dish was delicious. During a previous lunch, I tried the Catfish and Shrimp Platter. The platter included fried shrimp, fried catfish, hush puppies and fries with coleslaw. I must say, an amazing dish. This dish was perfectly prepared and reasonably priced for the amount of food served. 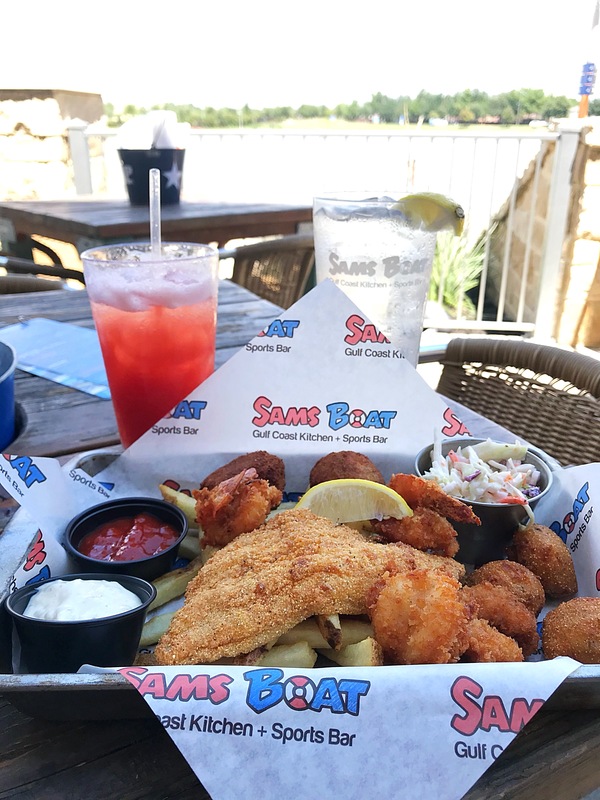 Overall, the dining experience at Sam’s Boat Cypress is always good. The waitresses are attentive and accommodating. The food is made to order which guarantees fresh items each time. I love the family atmosphere. The restaurant is kid friendly. The patio is my favorite. I love the outdoor space. On a sunny day that’s the best place to be. 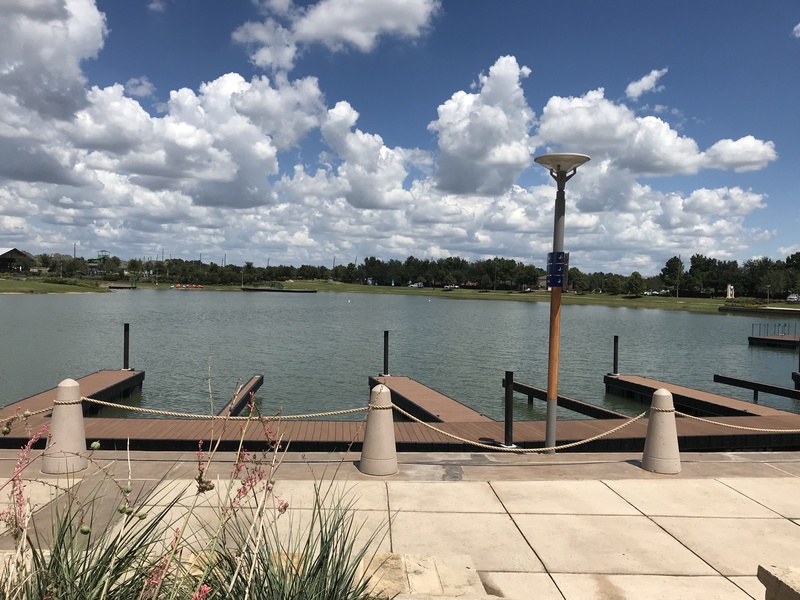 With Spring right around the corner I can’t wait to bring the kiddos so we can enjoy dinner by the water. 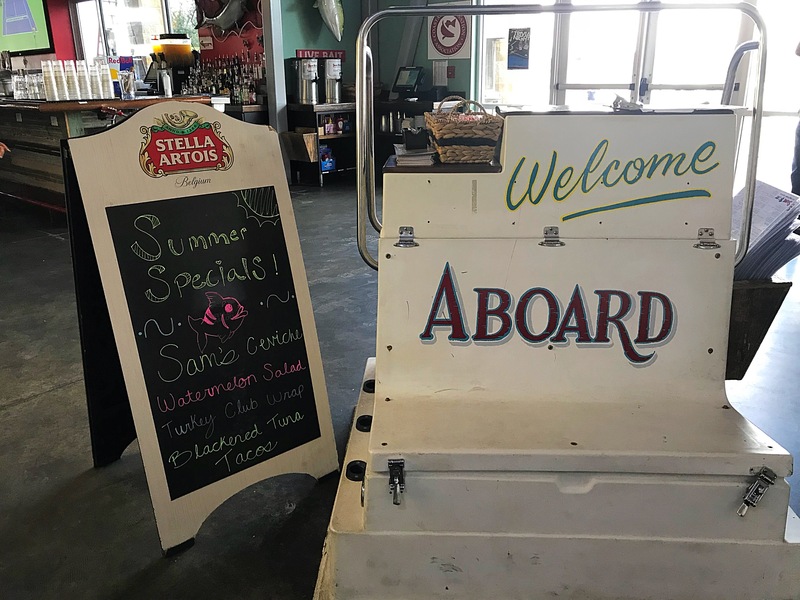 Sam’s Boat Cypress is located at 9955 Barker Cypress Rd #100, Cypress, TX 77433. The Hours of Operation are Monday – Thursday 11:00 a.m. – 12:00 a.m., Friday – Saturday 11:00 a.m. – 1:00 a.m.